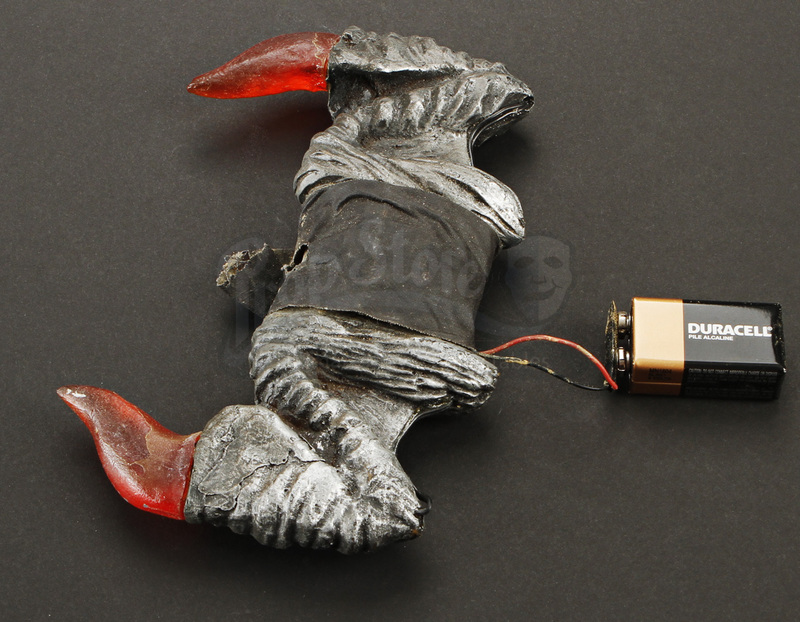 A Chicken Wing Gun used in the long running science fiction series, Babylon 5, and its spinoff show, Crusade. 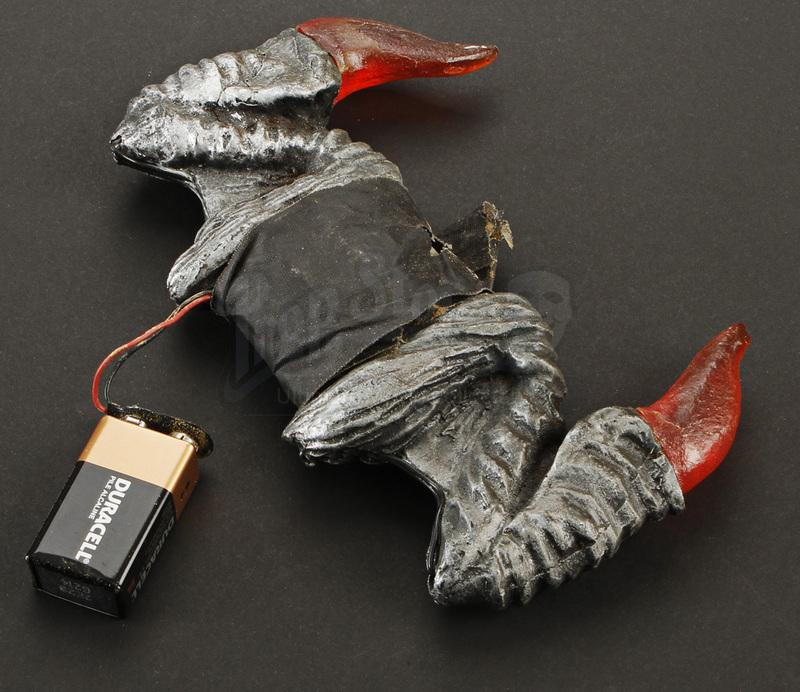 Nicknamed the "Chicken Wing Gun" because of it's similar appearance, this piece is a Drazi plasma weapon and was intended to be one of the main sidearms for the alien Drazi race, but was not seen in the final cut of the show. 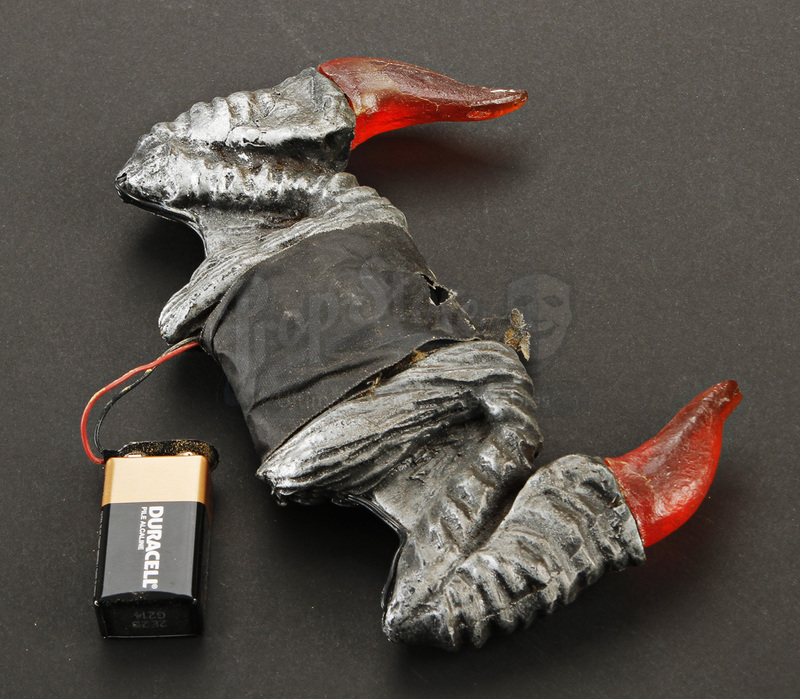 This item was made by the prop house "Proper Effects," and is constructed of resin. The main body features an aged silver appearance, with two clear red resin pieces on each end. 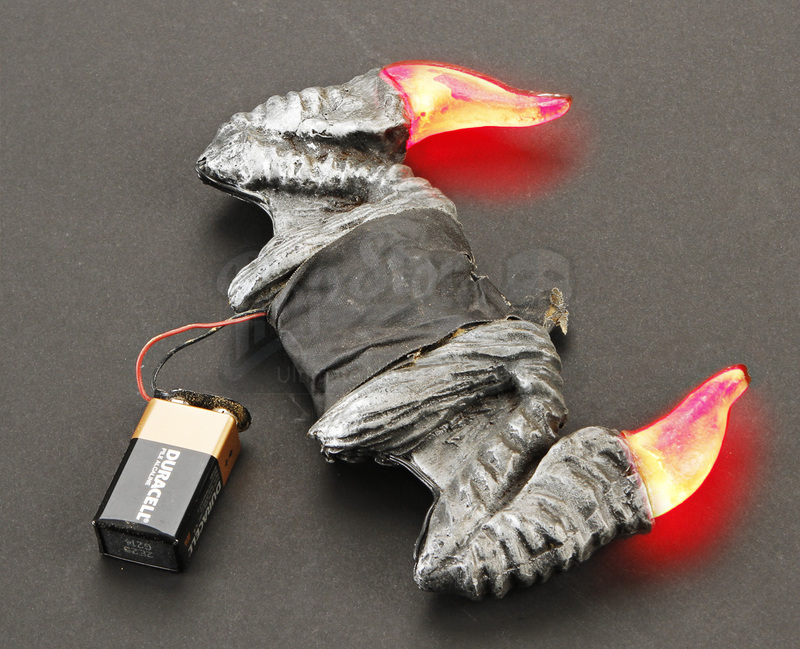 When a small button located in the center of the item is depressed, the end pieces light us red. 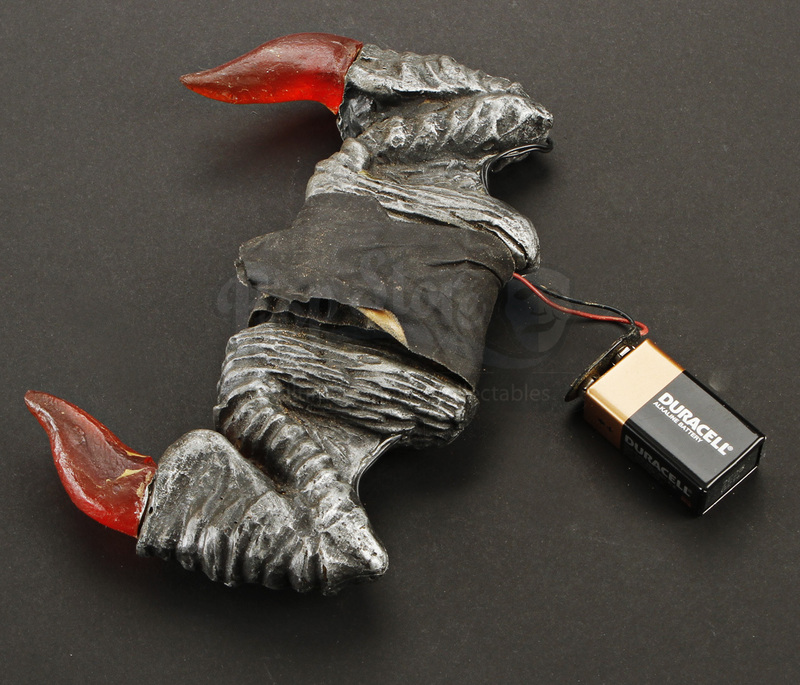 This item also features aged black gaff tape in the center section to conceal a 9v battery. 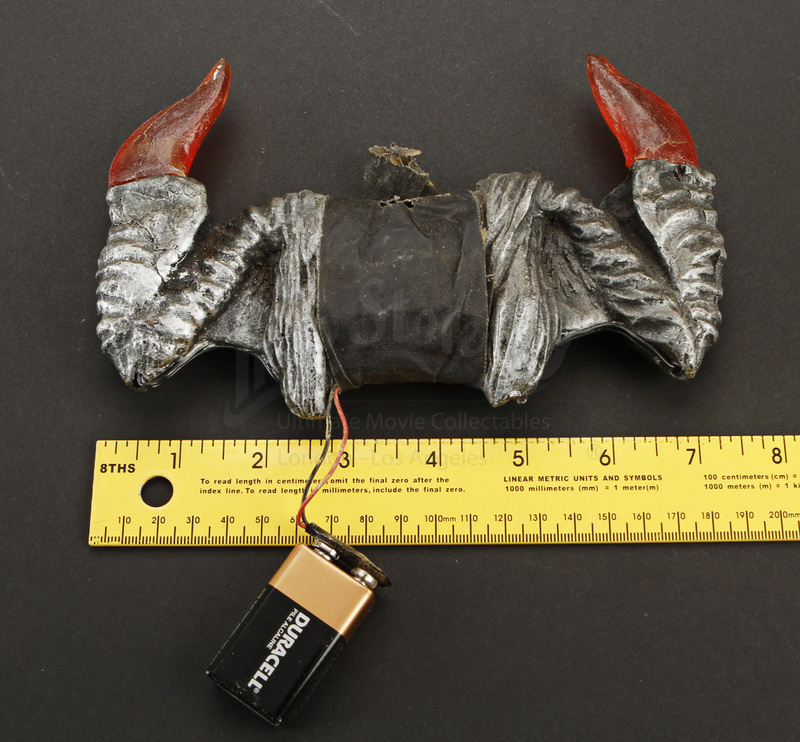 Measuring approximately 7" x 7.5" (18cm x 19cm) this item remains in very good condition.